According to the Global Wellness Institute, wellness is a $4.2 trillion industry. I’m certainly not surprised as I understand the power of social media and marketing, not to mention the fact that my feeds are often filled with influencers pushing the newest “cure-all” products. I am not separating myself from this group. I’ve been gifted samples of various products, which I will share with all of you, but only if they’re something that I feel has made a difference. There are many more that I either decline or feel are useless and unnecessary that don’t get shared. I also understand that of the products I do mention, there are often similar, lower-cost versions that can provide the same benefits. It all depends on how much a person is willing to spend, and I want this post to highlight some choices on the more affordable end of the spectrum. There’s nothing wrong with buying more expensive products if you want them and can afford them, but I know that’s not a majority of the population. Here are some suggestions to help make the wellness world more inclusive. Herbs and Eastern medicine have been around for far longer than this wellness industry, and what companies are doing these days is repackaging cheap products and selling at a higher cost. The only main herb I use is turmeric, which is really dirt cheap if you go places like Indian or Asian stores. It might not have a fancy label, but it’s still the same thing. Do your research on things like adaptogens and mushroom varieties and 1) see if you REALLY need them in your diet, then 2) see if you can purchase them at a lower cost at those same types of stores. Beware of products that have been around for thousands of years now sold in fancy gold bottles. Do not get me wrong, there are some clothing pieces that I have invested in over the years, but that’s also because it’s my profession. If I had to pick one piece of clothing to spend a little more on, it would be leggings because that is what I feel is most important to me in terms of quality and length of use. I’m not picky about sports bras or tanks because those really don’t matter to me. If you’re someone with a larger chest, a well-made sports bra may be higher on your list. If you want higher end workout clothes, but can’t bring yourself to pay full price (ahem, me), take a look first on sites like Poshmark, thredUP, or Mercari. This is where a majority of my more expensive leggings came from, but they were still cheaper than in the store. I’ve mentioned that yogurt more times than I can count, because it’s just absurd. You know what’s also a yogurt filled with probiotics? YOGURT. 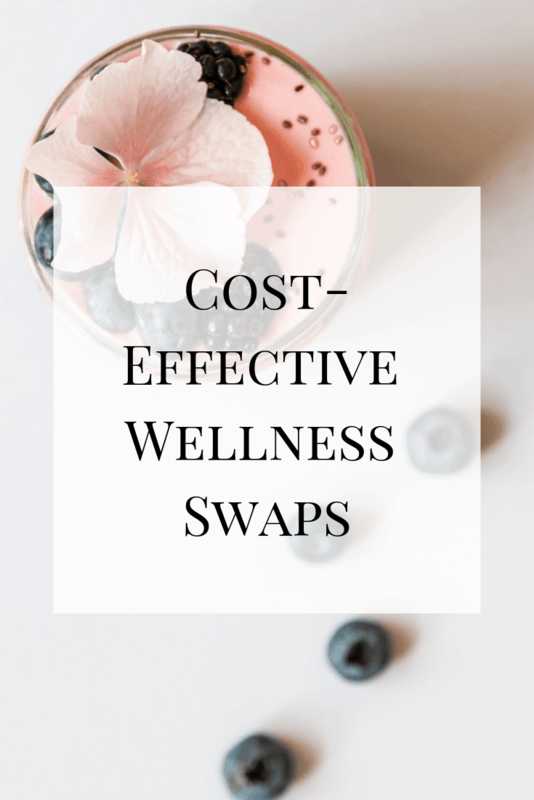 There are certain types that are better for you, such as my favorite Greek yogurt because of how much protein is provided, but there’s really no reason to spend so much on something that you can get from a much more affordable product. You don’t always need to buy organic food, which is another price complaint I’ve heard. The Environmental Working Group puts out a yearly produce list of the “Dirty Dozen” and “Clean 15,” letting you know which fruits and vegetables you should buy organic (if you want) and which are fine to purchase conventionally. Don’t fret if you can’t afford $15 acai bowls and salads. Simply eat whole foods, proteins, fats, fruits, and vegetables, and you’re already doing much better than those people who spend their lives eating fast food. Make healthier choices at the grocery store and don’t let social media make you feel like your greens, chicken, and veggies are less important than their perfectly presented smoothie bowl. I know that places like Soul Cycle and Barry’s Bootcamp are all the rage, but think about what the workout actually entails. SC is riding a bike. Barry’s is a treadmill and some dumbbells. What they are selling is the experience and the appearance, which, if you’re looking to get in shape, isn’t what you need to get there. You simply need to get your heart rate up and challenge your body. Let me know the ways that you make health and wellness affordable and if I missed anything. The more healthy options we know, the more we all benefit! I’m so cheap, LOL, so I relate to this. Wow $25 yogurt. I don’t think I’d ever be able to pick that one. I so agree with the H&M, Marshall’s and Forever 21. I love Uniqlo too especially for their thermals, so cheap.